In last week’s episode of Build, we began exploring the theme of pursuing a side project while keeping your day job. Jox Dixon and I did some mythbusting around the need to go all in. If you missed the episode, you can check it out here. This week we’ve got a pretty meaty episode for you. We’re going to dive deeper into this theme, and talk about what to do when the inevitable happens: you can’t physically work on your side project. We thought it was particularly important to tackle this topic because it’s happened to both Joy and myself more than once, and it’s probably already happened to you or you’re thinking about how to handle it when it does. The common culprits that hold you back from physically working on your side project are burnout and stress. Each is often prompted by teammates at your day job needing you more, you feeling the need to do everything yourself, and not having enough help on your side project or feeling like you can’t ask for help! People often think it’s the quality of the idea that determines the success or failure of a side project. But really it depends on how you respond to each of these issues as they arise. Of course, it can be tempting to just give up and move on, because, hey, it’s a side project! But if you’re really passionate about your side project, it can be hard to let go, and you’ll want to continue to make progress. Why you don’t have to respond to every improvement request immediately. 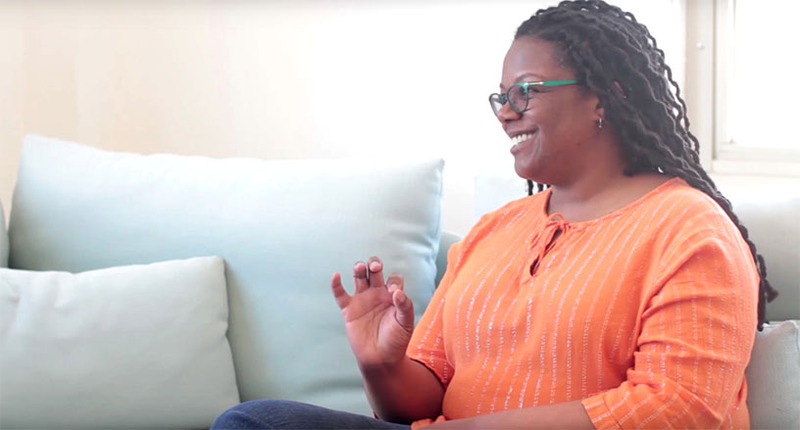 Once you’re done watching the episode, please share your go-to strategy for managing your time and energy with Joy and me in the comments below this video. Poornima Vijayashanker: In today’s segment, we’re going to talk about how to manage your time and energy around a side project. I know there’s been a lot of talk around time management and energy management, so I’m going to dive right into some of the tougher topics. Welcome back to Build, brought to you by Pivotal Tracker. I’m your host, Poornima Vijayashanker. Each episode of Build consists of conversations I have with innovators in tech. Together we debunk myths and misconceptions related to building products, companies, and advancing your career in tech. Poornima Vijayashanker: We’re continuing our conversation with Joy Dixon, who is a visionary and entrepreneur with 20 years’ of industry experience. In addition to having a day job as a software engineer, she runs a technical training school called Mosaic Presence. I know for myself, Joy, I have recently gone through a tough month, where I had a lot of health issues, and I just couldn’t physically be there to nurture all of my side projects. Let’s start by talking about how do you keep these projects humming along when you maybe physically can’t? Joy Dixon: Yes, that is a great question. That is a really great question, because that actually happened to me a couple of times last year, major health issues. It was really an opportunity to take a break. Joy Dixon: I took it as an opportunity to take a break, so I slowed down a little bit. It gave me enough space to refocus and to prioritize. That was something. Instead of trying to do everything, let’s actually set up that list where this is number one, this is number two, and if we get those two things done, that’s good. We don’t need the full 30 done today. Joy Dixon: That was really it. Poornima Vijayashanker: I remember in last segment, you mentioned that lovely word, which we started this year talking about, that N word. Let’s hear it. Saying “no” to things. Right? 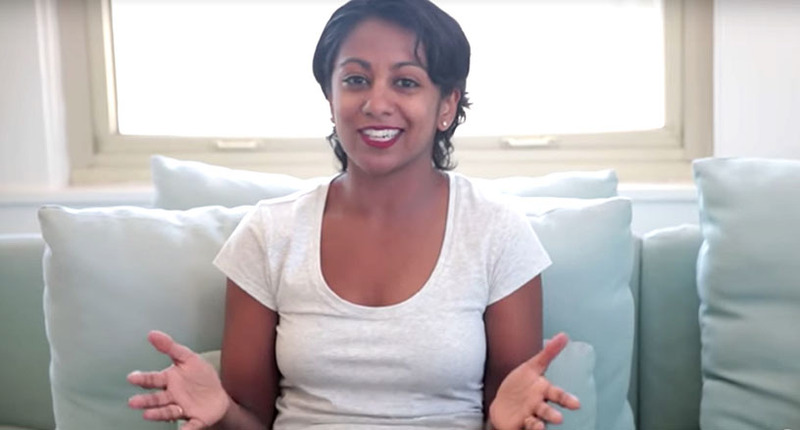 Poornima Vijayashanker: What’s your magic way of saying “no” to things? Joy Dixon: Most people have been more than receptive for that and really super supportive. I think just the practice. It’s about practicing and getting comfortable with putting yourself and your dreams and your desires first. Poornima Vijayashanker: In addition to saying “no,” I also have to get comfortable asking for stuff. How have you gone about getting help from other people? Joy Dixon: My network has been really super great. I have really just reached out to them, because I’m very clear about what I know, which means I’m super clear about what I don’t know. Joy Dixon: That is very important. Poornima Vijayashanker: I think you should say it one more time. Yeah. Joy Dixon: Yes, people are very receptive. Maybe not on working on my timeline, but they do come around, and they do help. So just really learning to accept the help when it’s available has been really, really good for me. Poornima Vijayashanker: I’m sorry. I had you repeat that, because I think a lot of times, when we get so passionate about our idea, and we want to put in the effort, we think everyone else is like, “Yeah. I can do this, too. I can quit whatever I was doing,” but they need a little bit more lead time, because they also have commitments that they want to keep up. We just have to be respectful about that. Poornima Vijayashanker: …because it’s our baby. We just have to figure out a way to get over the hump. How have you gotten over the hump of asking for help? Joy Dixon: Yeah. That one’s a really great question. I love that question, because I still do that. I’m still in process and learning how to do that. Back to knowing what I know and knowing what I don’t know and really everything is an opportunity for me to learn. The teaching, writing code, I know all of that. The accounting? Oh, no. I don’t know that. It’s really just allowing myself to learn. Another thing along with that is being super clear about what I’m doing. When I’m super clear, then it’s easier for me to find people and for people to find me who also want to support my project. Joy Dixon: Yeah. That’s really good. Disclaimer. Type A. I actually spend time in each of the areas that I don’t know, at least so I can have a conversation, a more intelligent conversation with the people. I can also vet people. Joy Dixon: I don’t have to know it all. I’m not looking for a master’s degree in accounting. Poornima Vijayashanker: I like to call that the BS detector. Joy Dixon: There we go. Poornima Vijayashanker: You know just enough to be a little dangerous, but at the end of the day, you don’t want to do the work. Poornima Vijayashanker: Yeah. You want to get somebody else who has deeper subject matter expertise in it. Joy Dixon: That’s great. I like that. Poornima Vijayashanker: Yeah. Of course, there are times where we hire people, and they, for whatever reason, let us down, either because they didn’t meet our standards or just things happen. That can cause us to become dispassionate, because you think, “Oh, maybe my idea isn’t that great. That’s why other people don’t want to work on it.” How do you stay motivated through those moments where some people just let you down or drop the ball or don’t execute quite to the same level? Joy Dixon: You’re the great questioner. OK? Really, that one is back to self. Everything comes back to self for me and self-awareness. Am I super excited and I’m super jazzed? It’s really my thing. I really can’t hold anybody or put them on a hook to have the same passion about my thing as I do. Poornima Vijayashanker: OK. That’s important. Yeah. I think that’s a good takeaway. Joy Dixon: That’s really important first and foremost. It’s really about just getting super clear about what I’m doing. I call it the lighthouse effect, like shine my message even brighter. For those people who are really attracted to it, it will make them easier to find me. Those people who are kind of like on the fence, then they’ll stay away. Then we really won’t have too many of these interactions. Poornima Vijayashanker: No, that’s good. Yeah. I think another issue I’ve seen that arises a lot is people want more of your time. Let’s say at your day job or your side project, and you’ve got to figure out how to set those boundaries. How have you done that? Joy Dixon: Yeah, that one is a really challenging one. Really. Like I said before, if you have social events, you have family events, those are really challenging. Poornima Vijayashanker: But even within your existing day job or your existing side where they want more of your time. Joy Dixon: Yeah. Really, for what I’ve done with the boundaries is, “this is the boundary,” because I know any overflow will affect everything else. It will have a ripple effect. You might think, “Oh, I’m just going to spend these extra few hours doing this,” but it will really have a ripple effect and take away from the other part. It’s super important to get very clear and to just maintain those boundaries. Joy Dixon: Balance of an hour or two? Joy Dixon: Sometimes it would be “yes,” and then sometimes it would be “no.” Honestly, it’s truly contextual. If I have to teach a class, then the answer is “no.” If I’m available, then I can do it. It really is situation. Poornima Vijayashanker: In that moment. Joy Dixon: In that moment, exactly. Poornima Vijayashanker: The same thing. Joy Dixon: Yes, because I’m beholden to both, so I have to keep both at the forefront of my mind. Poornima Vijayashanker: Now, there’s also times where we want to do more. Maybe that project at work, we want to go that extra mile, or in the side project, it’s like, “Ooh, wouldn’t it be really cool if I could add this and that? That’s going to take another couple of days. It’s going to take maybe another hour of staying awake or setting up another meeting. Do I have the room? Does it make sense to do that or not?” How do you manage those…I like to call them requests? Joy Dixon: Did I initiate them? Joy Dixon: Yes. That would definitely have to go on the lovely big corkboard that I keep in my bedroom full of great ideas. It would be in the parking lot, and then I will revisit it in time. There are so many things I want to do. There’s so many things. Every time I teach a class, I’m like, “Oh. Take notes on the curriculum. I want to teach it this way next time. I’ll say it this way next time.” Then I just have to wait for next time. There are just certain times you can’t make those changes each and every time. Having that break. Once again, I know I speak about space a lot, because space has really allowed me to decide. Is it something I really need to do, or it’s just something in the moment that just felt like a good idea? Poornima Vijayashanker: Ah, that’s good. What’s your barometer for that? Poornima Vijayashanker: OK. Letting it sit. Joy Dixon: Time and emotion. Really. There is a part that’s like jazzed and this is great, and making it that part, I would move forward with that. If it’s like fear or like, “Oh, I need to hurry up and get this to market,” then anything that comes from that place is something that I really just sit with for an extended period of time, because if it’s supposed to be done, then it will be done. Poornima Vijayashanker: Thanks so much, Joy. This has been really helpful. Poornima Vijayashanker: Yeah. For all of you out there, if you’ve had a side project that you’ve been working on for a while, I’m sure you have your go-to for managing your time and energy. Joy and I would love to hear what it is. Please share it with us in the comments below this video. That’s it for this segment. Be sure to subscribe to our YouTube channel to receive the next segment where we’ll explore how to continue growing your side project. Ciao for now.